The United Arab Emirates or UAE is one of the most popular Middle Eastern countries not only for the purpose of tourism but also for employment. Thousands of people visit the UAE for holidays while equal amount of people seek employment in its Emirates cities, every year. The major highlight of being employed in the UAE is that you do not have to pay any kind of tax to the government, which is a common practice in most countries in the world. While getting a job and becoming a resident in the UAE has immense advantages, it is important to know that even a small disregard or breaking of the law can cause imprisonment and worse, deportation. The UAE takes it laws and rules very seriously and whoever is seen flouting the rules would get punished. Hence, it is extremely important to know everything about deportation from the UAE. One of the most common reasons for deportation is staying in the country illegally. 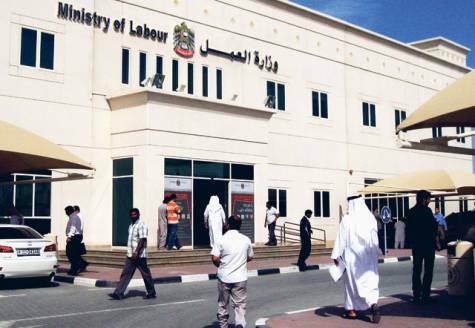 If you have been working in the UAE without the proper visa, you would not only be punished and fined but also deported. If you stay or work in the UAE even after your visa has expired, you would have to pay a fine for each day that you overstayed, before being deported. People who are thought to be a threat to public safety and welfare would also be deported back to their countries immediately. People involving a serious crime like sexual assault, theft, drug dealing and violence would also be deported from the UAE. Individuals who have been diagnosed with HIV/AIDS or any other related diseases would be deported. People who have been deported from one of the GCC (Gulf Cooperation Council) countries also would be deported from the UAE. An individual would be deported from the UAE if he or she has been reported by the International Criminal Cooperation (ICC). There are two procedures for deportation in the UAE. One is legal while the other is administrative. 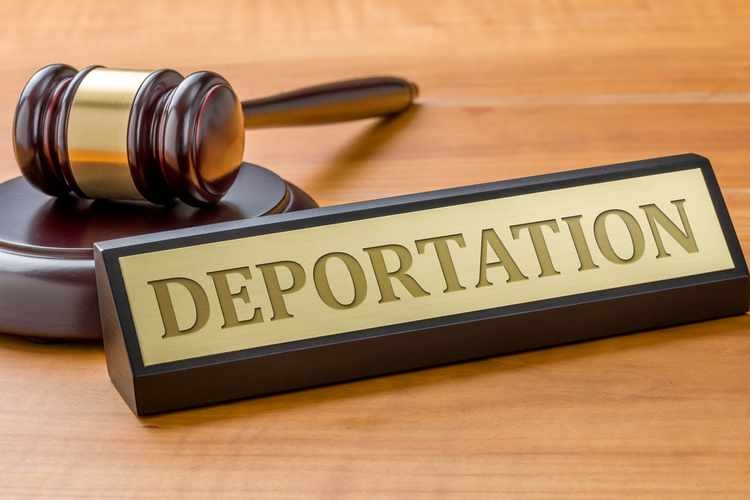 The legal type of deportation is usually used for criminal offences like murder, sexual offences, etc. On the other hand, the administrative type of deportation is applicable for individuals who are considered as a threat to the safety and welfare of the public. This type of deportation is finalized by the Ministry of Interior and related organizations like the Ministry of Labour, General Directorate of Residency and Foreigners Affairs. In most cases, the person is lead to the airport directly from the prison. In case the person has to finances to settle, he or she would be given a grace period. However, he or she would be deported at the end of this time period. Most offenders would have to serve a jail term or pay a fine before they are deported. Once either of the bodies finalizes deportation of a person, his or her name is added to the banned list. It is important to note that the ban on the person lasts for a lifetime. How to Remove Lifetime Ban in the UAE? If you have been deported from the UAE, it is likely that you would never be able to renter the country. In short, the ban is for a lifetime. In most cases, you would be banned from the other GGC countries which include Saudi Arabia, Qatar, Kuwait, Bahrain and Oman. If you had been booked and deported for a criminal offence, there is no chance of lifting the ban. However, you would be able to do so if the Minister of Interior gives you special permission. On the other hand, if your offence was not something that posed a threat to the safety and stability of the UAE, you can appeal from outside the country. You can do so either by appointing a lawyer or by applying for an exemption through the Ministry of Interior. A pre-appointed committee would review each and every appeal before deciding whether or not to lift the ban. Several factors are considered like if it was the person’s first crime or whether the crime affected the security and safety of the country. In case you were deported from the UAE because you stayed in the country even after your visa expired (and also after the one month grace period), you would usually be banned for a year. In short, if you apply for a new visa (tourist or visit visa) before the completion of one year, it would not be approved. It is best to go for a UAE immigration ban check before you submit your visa application. Deportation from the UAE, for whatever reasons, is an unpleasant experience. To ensure that you do not face such situations or circumstances, it would be best to abide by the laws and rules of the place to ensure that your stay in the country is a memorable one for all the right reasons.